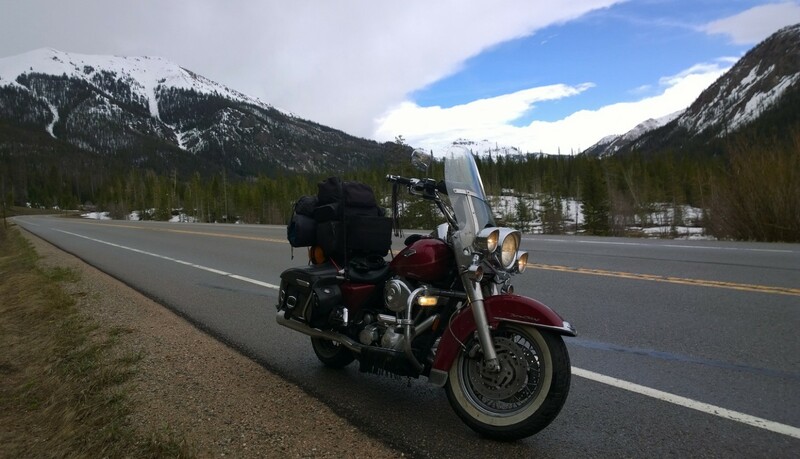 Adventures in Motorcycling: Is an Element of Peril Necessary for Adventure? Problems with Hula Girl and the Harley. I’ll get the worst news out of the way first. It’s kind of embarrassing but the hula girl that I have on my bike has lost her skirt. I’d show you a picture but I’m sure she wouldn’t want her nether regions to be shown to others. Probably against the new rules of internet neutrality too. I need to get her covered up. Maybe a bit of Styrofoam would do the job. Big Red is another matter though. I was happy with how quickly the Harley dealer helped me out yesterday but I didn’t like seeing the drops of oil on the ground underneath the bike this morning. I rode the bike down to the beach so I could have a little walk before heading back to the Harley dealer. That’s when I first saw the dolphins playing near the shore. Beautiful. Then back to the Harley dealer. Turns out that the primary inspection plate is warped. That’s why the bike is leaking. They’d have to order the part. I had them check around and they found a replacement one in Dothan, Alabama. So I made an appointment for tomorrow morning. I’ll get up early try and nurse the bike up there. It’s about a 2 and ½ hour ride. That’s the perilous part. Getting there without burning out the clutch or some other mishap. Has to be some element of peril involved in a true adventure, don’t you think? I welcome any prayers and good wishes for Big Red and Hula Girl that you can send my way. No internet neutrality rules against that. ← Adventures in Motorcycling: Pub Theology. Have We Kicked God out of the Bars Now?